Organizing a storage unit may seem like a mundane, time-consuming task, but you will certainly thank yourself for it later. Organizing will not only make it easier to find what you need in the future, but it will also help you fit more into your unit, maximizing the space. In this blog, Affordable Family Storage in Topeka, Kansas discusses some ways to make the most out of the limited space in your storage unit. Installing shelving is a sure way to make a little extra space in your storage unit. It clears up some room on the floor and makes it much easier to stack boxes and find what you need. Shelving is also a great place to store breakable, fragile items that you might not want to keep on the floor or stack in a pile of boxes. Most people assume that shelving is expensive, so they choose to leave their unit a cluttered mess. In the end, this makes it more difficult to fit everything into your unit, causing headaches in the future. If you are looking for an inexpensive way to get the most out of your space, consider making your own PVC pipe shelving. Inexpensive and easy to put together, PVC pipe shelving is becoming a popular option for self-storage. Simply browse the internet to find some tutorials. 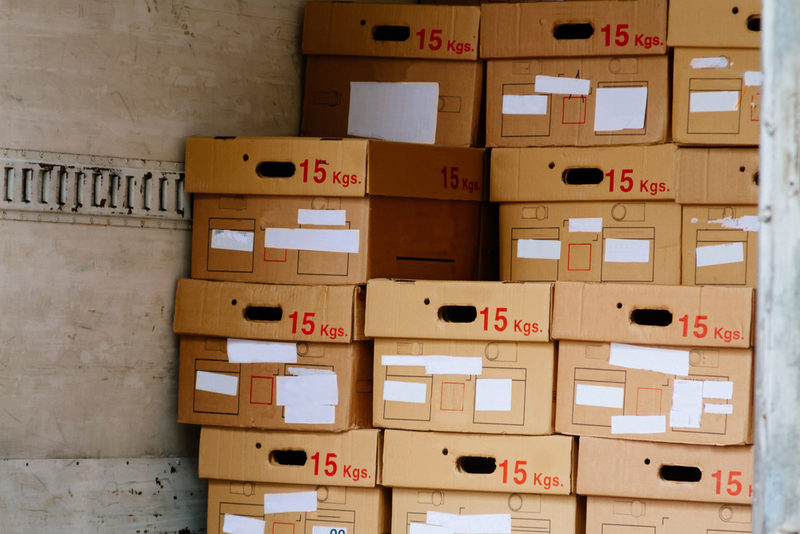 This tip may seem obvious to some, but you would be surprised how many people pack their storage unit without organizing their belongings in boxes. Boxes help you organize your belongings and compact them into one area. To maximize the space in your storage unit, make sure all your boxes are a consistent size. This will make it easier to stack your boxes, clearing up room on the floor. When it comes to boxes, there are many different options. For organization, it’s best to use clear, plastic containers so you can easily find what you need. If you want to save a bit of money, go to your local grocery store and ask for cardboard boxes. Most stores are happy to help with a moving project. Furniture can be big, bulky, and awkwardly shaped, which makes it take up a lot of space in a storage unit. Once you store a table and a couple chairs, it may seem impossible to fit anything else. Luckily, a lot of furniture can be disassembled, allowing you to clear up some extra space in your unit. Before you move, take a look your furniture and see if you can remove any parts. To protect your disassembled furniture in storage, be sure to wrap it in plastic or cover it with old towels and sheets. If you are looking for a storage unit in Topeka, look no further than Affordable Family Storage. We offer affordable, climate-controlled units in a variety of size options. To reserve your unit, contact us today!